We don’t know whether you’ll believe it or not but insecure web pages are still allowed to get the HTTPS ranking boost. It was in 2014 August that Google launched its HTTPS ranking boost where it would offer the sites which served the pages on HTTP a small boost in ranking. But are you aware of the fact that the only signal which Google utilizes to determine if you get the ranking boost if the first 5 characters of the URL which is the ‘https’ portion? Google doesn’t ensure that the certificate is valid or even doesn’t determine that the page has got some real insecure content or give any kind of browser warnings. Google gives the ranking boost entirely based on the URL which starts with HTTPS. 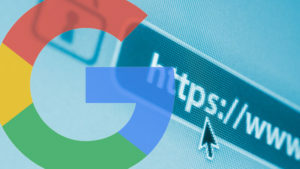 Gary Illyes said that any URL which starts with HTTPS is managed to push itself into the search engine results only if it gets a minimum push. He also added that Google and its optimizers were also thinking of adding a number of things to this but then they decided not to do so and then focused on site migrations ensuring that the sites were effortlessly able to migrate to HTTPS and that Google was able to pick on to those changes. Although he wouldn’t share what changes needed to be done but he said that it would be based on those sites which had issues with Google during the process of migration. If the right URL is not being showed in the results, then that would be a different issue. We either have a retrieval problem or an indexing issue. If an HTTPS URL comes up in search results with mixed content like active mixed content, that would be a ranking issue and not an indexing issue. The suggestion of the leads was that the optimizers should try and fix those issues and then ensure that the site moves. Whenever the website moves to HTTPS and fixes those issues, it should work well and this is where people should focus on. Therefore if you’ve still not moved to HTTPS with your website, it’s high time to do the needful in order to rank higher in search engine results. Know the details of what to do and what not to do before you take the plunge.